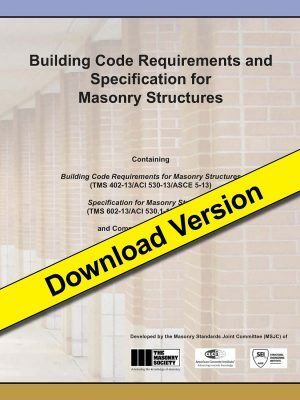 Chapter 12 of the TMS 402 2016 includes provisions for the design of anchored and adhered masonry veneer. Although the vast majority of anchored masonry veneer systems are designed using the prescriptive provisions within this standard, veneers in high wind zones, high seismic zones, or constructed with large distances between the backing walls and the veneer cannot be designed using these prescriptive provisions. 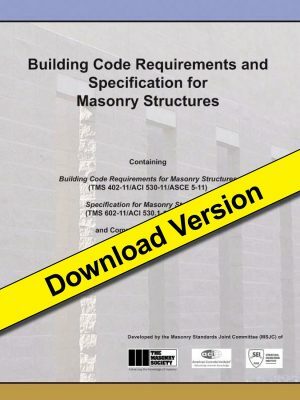 In addition, the prescriptive provisions do not often provide the most cost-effective solutions for the rehabilitation and retrofit of masonry veneers. 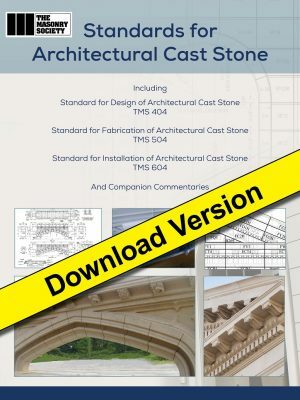 The TMS 402 does have provisions for alternative rational design provisions for masonry veneers. These provisions will be explained and a method for the rational veneer wall system design will be presented. This presentation will also describe a method for the design of the vertical Shelf angle support of the walls systems. 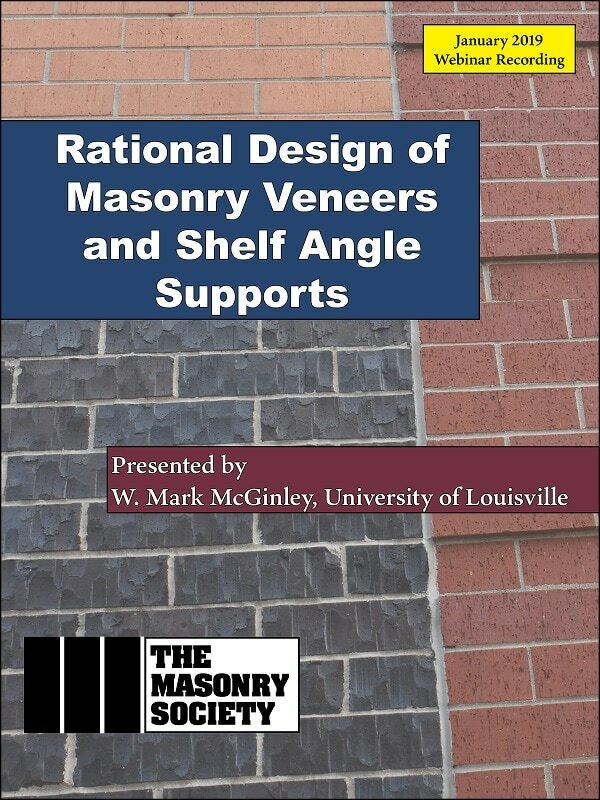 Describe the alternative design procedures for masonry veneers in TMS 402 (Chapter 12). Present an example of a rational veneer design. Describe how steel shelf angles provide vertical support to masonry veneers. Present a sample shelf angle design. This webinar was originally presented on January 10, 2019. Purchasing this product will grant you access to the webinar recording and a PDF of the presentation. Certificates of attendance are not available for this webinar recording. Mark McGinley, Ph.D, PE, FASTM, Professor and Endowed Chair for Infrastructure Research, Civil and Environmental Engineering, J.B. Speed School of Engineering University of Louisville. Dr. McGinley is a structural engineer and building scientist with more than 25 years of research and forensic engineering practice in building systems. He joined the faculty in the Civil and Environmental Engineering Department at the University of Louisville from North Carolina A & T State University where he was Chair of the Civil, Architectural, Agricultural and Environmental Engineering Department. He received his PhD, MSc and BSc in Civil Engineering at the University of Alberta and is also a registered professional engineer. Mark is a recognized expert in masonry building systems, in particular, masonry building envelopes. His research has included basic research on the structural performance of masonry walls, water penetration experiments on envelopes and the building envelope performance of brick veneer and steel stud wall systems. Over 130 publications have resulted from his research efforts.